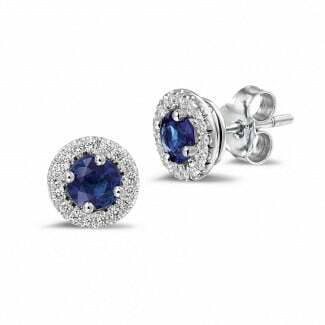 Diamond earrings are perfect for any taste, style and occasion. Their eternal brilliance and top quality will make them an exclusive addition to any jewellery box. Platinum diamond earrings combine this diamond elegance with the powerful sustainability of platinum for an extraordinary and unique piece of jewellery. Which earrings are perfect for you? You can discover this for yourself in our extensive collection. 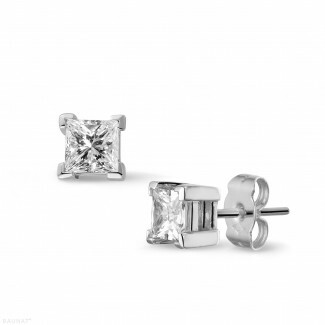 Why should I opt for platinum earrings? Where gold exudes a classic and traditional style, platinum results in a more contemporary touch. The precious metal is somewhat greyer than white gold, giving your platinum earrings a subtle quirky touch. Platinum is a very sustainable precious metal. That’s why you’re opting for double the quality by combining the everlasting diamond with the beautiful platinum. Why should I opt for BAUNAT? 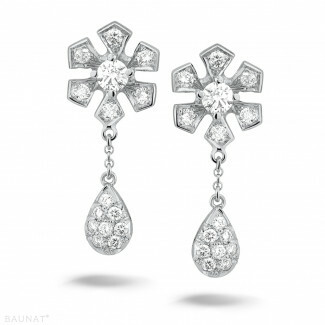 All our platinum earrings and diamond jewellery are exclusively designed by BAUNAT and personally made for you by hand. This collaboration of elegant designs and traditional craftsmanship means you can also rely on absolute top quality. Plus, our quality is subject to an exceptional price-quality ratio, as BAUNAT buys all diamonds straight from the source. This means you’ll be paying 30 to 50% less than you would in a physical shop for the same top quality. No unnecessary intermediaries and expensive branches, so fewer costs for you! 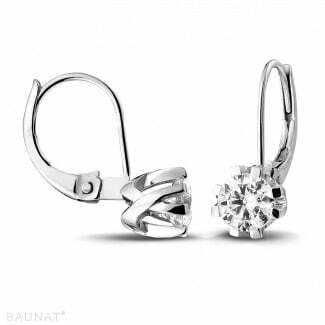 Can I order my platinum earrings online? 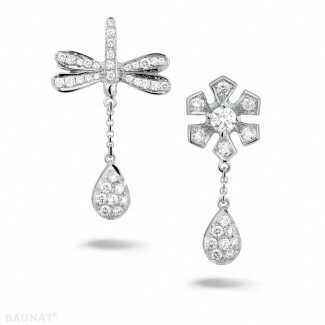 You can see BAUNAT’s complete collection of exclusive diamond jewellery into the finest detail online and subsequently place an ultimately safe order. 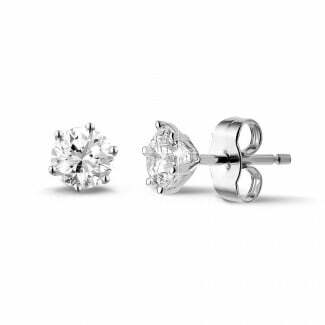 You will have a 30 day return policy once you’re in receipt of your platinum earrings, in order to make sure you have definitely chosen your favourite jewellery. Did you manage to find the perfect diamond jewellery? Then you will also be able to enjoy our 20 year product guarantee and a continuous personal service. Are you looking for style and class which will last for the rest of your life? 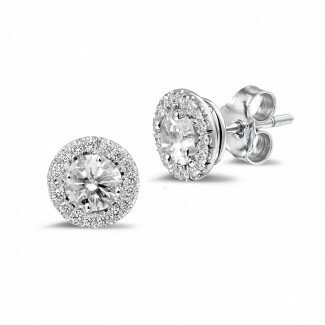 Then opt for sustainable elegance with your perfect diamond platinum earrings.